Home Security | KW LOCK & SAFE LTD. 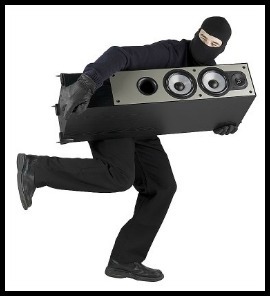 Many services to optimize security at your residence. Whether you just moved into a new place, looking to start fresh by rekeying your locks, so you know exactly who has access to you are front door, or you’re the victim of a break in and want added security to ensure it won’t happen again. Who has the keys to your front door? Have you ever lent out a key to your front door and never got it back? We have all done it. If you have never had your locks rekeyed, give us a call. Want to eliminate one more key from your key ring? 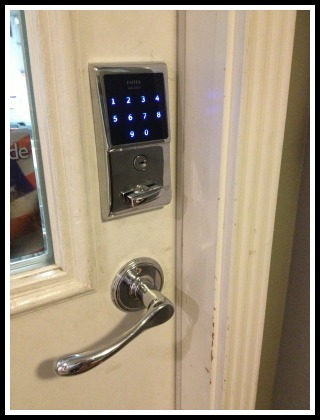 Check out our most popular deadbolt, the Schlage BE365 Digital Deadbolt. It is also great for home owners renting out suites or condos! Not that great with keys? Do you already have too many keys on your ring? The Schlage BE365 Digital Deadbolt is the perfect lock for families that are on the go. 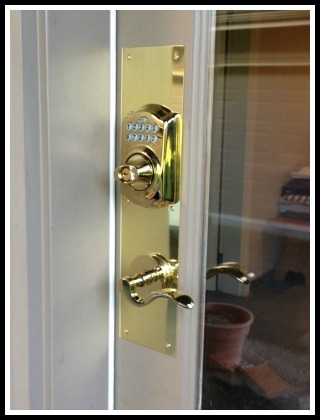 This is our #1 selling deadbolt, its uses are limitless. Combinations are simple to change and each family member can have their own individual four digit code. You will no longer have to worry about how many keys have gone missing over the years, change the combination in seconds. This is the perfect lock for tenants as well. 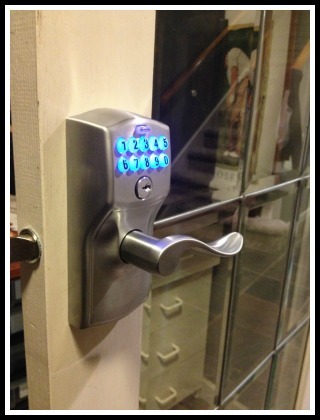 Don’t worry about rekeying locks when new tenants are renting from you, just add a new four digit combo. Unlike other digital deadbolts on the market, battery life is much greater because of the unique design. Available immediately in Brushed Stainless, Satin Nickel, and Bright Brass finishes.